Rives BFK rag paper, 9 x 12.5 inches. 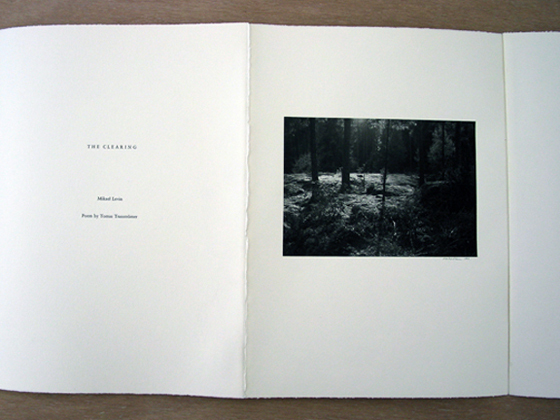 The portfolio, bound in accordion format, presents Thomas Transtromer's poem "The Clearing" followed by a sequence of eleven photographs. 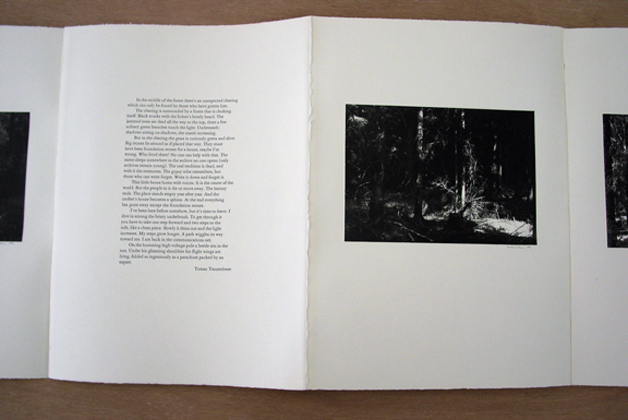 The poem describes coming upon the traces of a house in the forest. 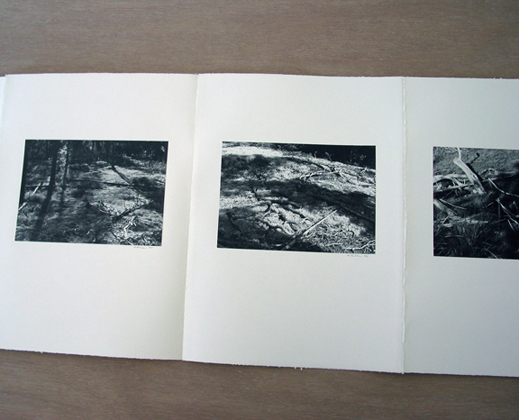 The photographs' sequence suggest a walk through the forest, arriving at a clearing of indeterminate origin.